Important events and dates over the next few weeks. 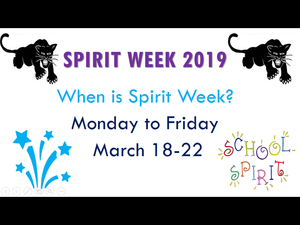 Spirit Week at SMS March 18th - 22nd! Book Fair has been extended until Wednesday March 20th!